RouterHosting Review 2019: Is RouterHosting a Good Hosting? 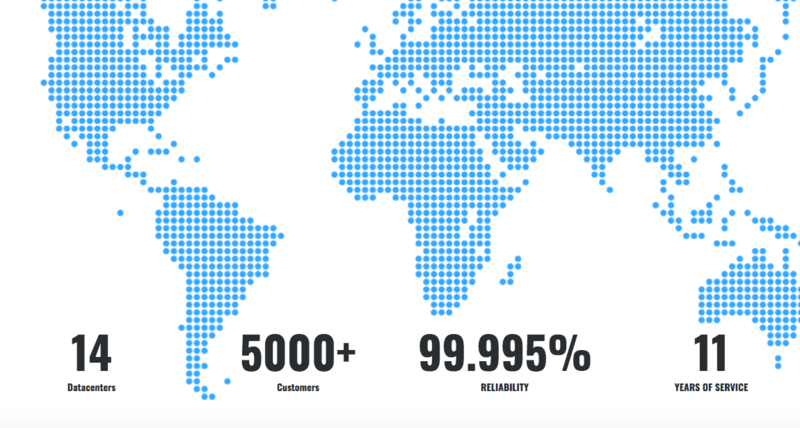 RouterHosting has more than 5,000 customers and servers located in multiple worldwide locations. The higher-tier plans get quite pricey, but at the lower end, the plans are good value for money with SSD storage in RAID 10 configuration. RouterHosting was founded in 2008 with a vision to make website hosting more affordable and easier. It has servers located in fourteen global data centers, more than 5,000 customers, and an English language website. You can choose to have your servers located in one of multiple worldwide data centers, including ten in the U.S. (New York City, Los Angeles, San Francisco, Phoenix, Seattle, Washington, Chicago, Washington, Dallas, Buffalo, and Pittsburgh) or Europe (London or Frankfurt). There’s also the option to choose from Windows or Linux (multiple distributions), so all-in-all the plans are pretty flexible. The VPS plans use SSD storage in RAID 10 configuration, which means disk read / write speeds up to ten times faster than HDD and less risk of data loss. Also, there are dedicated containers on the nodes, which means your data will not be shared with your neighbor, and you don’t need to worry about sudden spikes in volume or malicious traffic. The dedicated servers come in four base packages, although all but one, the Dual Intel Xeon X5650 (12 x 2.67Ghz – 24 x 2.67Ghz Threads), package is sold out. If required, you can contact support and create a fully custom package designed specifically for your business needs and budget. The website claims a “99.995% reliability”, but without an SLA or uptime guarantee to refer to, it’s hard to tell what this is based on. The plans, particularly the VPS packages, are good value for money. The higher resource packages can get quite costly, but the lower-tier plans are a great way to get started with a private environment for a reasonable price. As you’d expect, SSL certificates and domain names are an added cost. You can purchase the plans in terms ranging from one month to three years, with the monthly plan reducing with the length of the term. All plans come with a short seven-day money-back guarantee. Customer service is reportedly available via email, Skype, and telephone, however when I visited the website, I could only find an online contact form / ticketing system and phone number. It’s also not clear what the business hours or average response time is, but in my experience, I contacted the team via the online ticket system and received a polite reply within two hours. RouterHosting has the tagline “Cheap Linux and Windows VPS” and I’d agree with that sentiment. It’s not hard to see why 5,000 customers have purchased the pure SSD plans, although the uptime guarantee could be improved. Wondering how RouterHosting stacks up against other Web Hosting companies? Enter any other Web Hosting company and we will give you a side-by-side comparison.